ITSector SA, a company with long experience in the financial area, presents omnichannel credit products to minimize the credit process and improve user experience. Our solution is dedicated to consumer credit, 100% integrated between the client, the bank, and the stores with different channels, using beacons and augmented reality. Almeida has experience in project management, business and technical requirements analysis, and application technical architecture definition. He specializes in banking and telcos IT services. You met them as IT Sector Group. 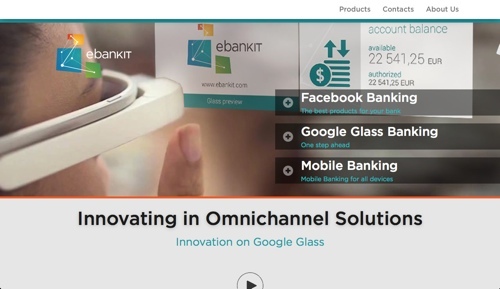 Now say hello to the company’s very own multichannel banking solution provider, ebankIT. ebankIT was created in January 2014 by IT Sector Group, just weeks before its FinovateEurope debut. The mission? Building truly multichannel banking solutions that embrace trends both social (a Facebook banking app) and technological (Internet banking for Google Glass). And it will be interesting to see just how far they’ve come when they return to the Finovate stage in February. “Our presentation at FinovateEurope 2015 aims to maximize the interaction of financial institutions and clients by extending the concept of omnichannel and social banking,” said ebankIT Marketing and Communications Director, Lis Ferreira. In a conversation a few days ago, Ferreira highlighted the company’s initiatives over the past several months. Specifically, she pointed to the launch of the first Portuguese banking app for Google Glass, released last month by Banco Big. And in October, the release of PIM – Personal Investment Manager, a mobile trading app for stocks and other financial instruments. At the same time, the company has picked up a number of clients, including financial institutions in Poland, Mozambique, and Angola. Specific deployments have varied. But each represents a step forward in engaging banking customers on their preferred channels. ebankIT’s solutions include not just novel solutions for wearables and social banking, but self-service banking kiosks, contact centers, account management, branch front desk services, as well. The company also provides tools for financial professionals such as Commercial GPS (demoed at FinvoateEurope 2014), which makes it easier for sales executive to manage deals at the desk or on the go. Fortunately, we won’t have to wait long to find out what’s new from ebankIT. 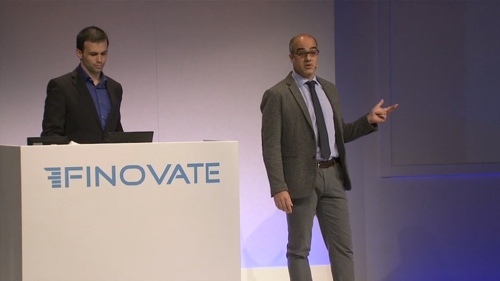 The company will be demoing its latest technology at FinovateEurope 2015 February 10 & 11.